The Permanent Secretariat is established to assist the Commission on the Protection of the Black Sea Against Pollution (as defined in the Convention on the Protection of the Black Sea Against Pollution, Article XVII) and is located in Istanbul, Turkey. Click here for the Headquarters Agreement currently in force. The Black Sea Commission appoints its Executive Director and other officials of the Secretariat. The Executive Director appoints the technical staff in accordance with the established rules. The Secretariat is composed of nationals of all Black Sea States. The Advisory Groups to the Black Sea Commission are its main source of expertise, information and support to in implementation of the Black Sea Strategic Action Plan. They are established pursuant to Articles 22, 23 (The Istanbul Commission) >>, and Annex 1 >>. Each Advisory Group elects a Chairperson. The Advisory Groups act with the mandate of the Black Sea Commission and their respective Terms of Reference. This book underpins the geography of the Black Sea, covering topics such as morphology, morphography, geology, and history of the Black Sea. It also discusses environmental aspects affecting the population in the Black Sea's coastal settlements and looks to the future of the Black Sea region. This book covers a gap in research in the field of world regional geography of the Black Sea by providing a comprehensive methodology and terminology to readers, students and teachers in the field. Vespremeanu E., Golumbeanu M., 2018 The Black Sea – Physical, Historical and Environmental Perspectives, World Regional Geography Book Series, Springer Geography, Earth and Environmental Science eBook Collection, Printed by Printforce, the Netherlands, 150 pp, ISSN 2194-315x, ISSN 2194-3168 (electronic), ISBN 978-3-319-70853-9, ISBN 978-3-319-70855-3 (eBook), https://doi.org/10.1007/978-3-319-70855-3, Library of Congress Control number: 2017958552, @Springer International Publishing AG 2018. The GFCM Secretariat, in cooperation with the Fish Forum Coordinators, and Black Sea Commission Permanent Secretariat in particular, is organizing in Rome, Italy the Fish Forum in December, 2018 and announcing the ongoing call for abstracts (deadline for submission 15 May 2018) available at this link : http://www.fao.org/gfcm/fishforum2018/callforabstracts/en/ . Thirteenth Biennial MEDCOAST Congress (MEDCOAST 17), 31 October – 04 November 2017, Mellieha, Malta as the pdf file in the link below. The congress will be organised in collaboration with two institutions of University of Malta. The occurrence of marine litter in the Black Sea region is poorly known and even less data have been reported on the abundance of ﬂoating debris. Here we present results from a ship-based visual survey carried out in the North-Western part of the Black Sea, providing the ﬁrst preliminary data on the characteristics of ﬂoating debris in Romanian waters. The 4th BSC-HELCOM Workshop on eutrophication and pollution and pre-meeting was held on 26-28th November, 2013 in Istanbul, Turkey. This expert workshop was titled „Towards reaching a good status of the Baltic and Black Seas: lessons learnt in Baltic2Black and ways forward”. The workshop was preceded by a short meeting on 26 November 2013 to plan the future cooperation between Baltic Sea and Black Sea networks. The overall aim of the workshop is to continue exchange of knowledge and learning from the long experience gained in the Baltic Sea and the Black Sea on the semi-enclosed brackish-water ecosystems. A secondary aim of the workshop is to summarize the results of the activities implemented during the three years of the EU funded Baltic2Black Project concerning the best practices in assessing eutrophication, developing common indicators and nutrient reduction scheme. The Commissions are confident that it is extremely important to maintain the dialogue created between the experts from both regions, encouraging them to continue the collaboration beyond the life time of this project. The 36th Extraordinary Meeting of the Commission on the Protection of the Black Sea was held 17-18 April in Istanbul, Turkey. Aiming for improving its instutional capacity and operative efficiency, the meeting continued its work on improving and updating the internal documents governing the funcioning of the Commission, improving budgeting and planning of the activities and finding solutions to emerging challenges in the work of the Commission. Şile, Istanbul hosted celebrations of the International Black Sea Day on 31 October 2018. The event is organized jointly by the Commission on the Protection of the Black Sea Against Pollution and Ministry of Environment and Urbanization of the Republic of Turkey. This important international event enabled us to evaluate our achievements, discuss new challenges and raise the public awareness that the protection of the Black Sea depends on the efforts of every one of us. Black Sea Medal Awards were presented to one recipient from each riparian country around the Black Sea to emphasize the importance of efforts in organizing and undertaking activities to protect the Black Sea’s unique environment. The 34th Regular Meeting of the Commission on the Protection of the Black Sea Against Pollution took place on October 24-25, 2018 in Istanbul, Turkey. The Meeting reviewed the work carried out in the 2017/2018 Fiscal Year and the implementation of the Work Programme for 2017/2018. Commission adopted a budget for the 2018/2019 Fiscal Year, and the State of Environment Report and also reconfirmed the international cooperation between the Black Sea states in protecting the Black Sea environment and the implementation of the provisions of the Convention and the Strategic Action Plan for the Environmental Protection and Rehabilitation of the Black Sea (2009). In this respect, the implementation of provisions under the Memorandum of Understanding and work with partner organizations as well as the progress achieved in cooperation with regional projects were noted. According to the Rules of Procedure of the Commission on the Protection of the Black Sea Against Pollution, at the end of the meeting, the Chairmanship of the Commission on the Protection of the Black Sea Against Pollution was transferred from the Russian Federation to Turkey for a period of one year. Istanbul hosted celebrations of the International Black Sea Day on 31 October 2017 which is organized jointly by the Commission on the Protection of the Black Sea Against Pollution and Ministry of Environment and Urbanization of the Republic of Turkey. Since the first Strategic Action Plan for the Rehabilitation and Protection of the Black Sea signed by all riparian countries of the Black Sea on 31 October 1996 in Istanbul, this important event commemorated every year in different coastal cities around the Black Sea. A good tradition to present the Black Sea Medal Awards for the outstanding individual efforts to protect the marine environment of the Black Sea established and it is being presented every year to one individual from each riparian country around the Black Sea. The 33rd Regular Meeting of the Commission on the Protection of the Black Sea Against Pollution took place on October 5-6, 2017 in Istanbul, Turkey. The Meeting reviewed the work carried out in the 2016/2017 Year and the implementation of the Work Programme for 2016/2017, work with partner organizations and projects, such as UNDP, BSEC, EEA, EMBLAS Project and EMODNet Chemistry, and reviewed the Annual Work Programme and budget for the 2017/2018 Fiscal Year. According to the Rules of Procedure of the Commission on the Protection of the Black Sea Against Pollution, at the end of the meeting, the Chairmanship of the Commission on the Protection of the Black Sea Against Pollution was transferred from Romania to the Russian Federation for a period of one year. The meeting reconfirmed the international cooperation between the Black Sea states in protecting the Black Sea environment and the implementation of the provisions of the Convention and the Strategic Action Plan for the Environmental Protection and Rehabilitation of the Black Sea (2009). In this respect, the progress achieved in cooperation with regional projects such as the EMBLAS Project and EMODNet Chemistry were noted as well as the implementation of provisions under the Memoranda of Understanding and work with partner organizations, such as UNDP, BSEC, EEA. To contribute to a wider dissemination of all gathered information concerning MSP field, Black Sea area, best practices and stakeholders. 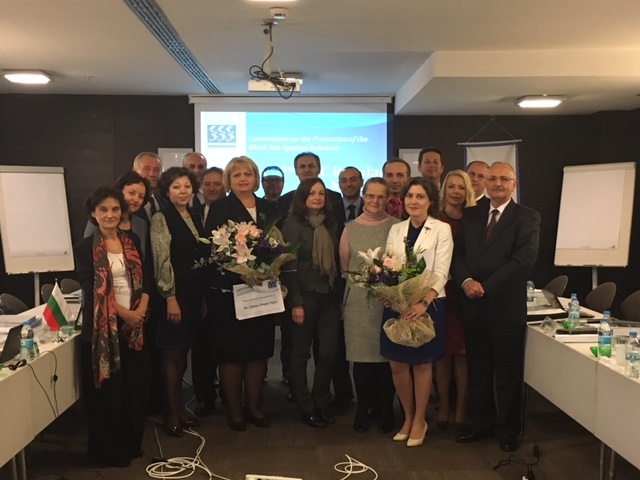 High level representatives of the countries signatories to the Cornvention on the Protection of the Black Sea Against Pollution (The Bucharest Convention) - Bulgaria, Georgia, Romania, the Russian Federation, Turkey and Ukraine celebrated the International Black Sea Day - 31 October 2016 in Burgas, Bulgaria. The conference held marked the 20th Anniversary of the signature of the Strategic Action Plan for the Rehabilitation and Protection of the Black Sea. The events served to initiate a dialogue on partnering in the integrated policy and cooperation in the protection of the Black Sea environment. The participants discussed information and knowledge exchange and future initiatives through the Commission on the Protection of the Black Sea Against Pollution. A coordinated regional environmnetal policy for sustainable use of resources and biodiversity protection, as well as sharing of best practices were discussed. 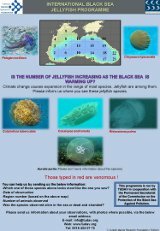 The 32nd Regular Meeting of the Commission on the Protection of the Black Sea Against Pollution took place on the 12–13 October, 2016 in Istanbul, Turkey. The Meeting reviewed the work carried out in the 2015/2016 Year and the implementation of the Work Programme for 2015/2016, work with partner organizations and projects, and adopted the Annual Work Programme and budget for the 2016/2017 Fiscal Year. Pursuant to the Rules of Procedure of the Commission on the Protection of the Black Sea Against Pollution the Chairmanship for the period Sep 2016 - Sep 2017 of the Commission was assumed by Romania. The meeting reconfirmed the international cooperation between the Black Sea states in protecting the Black Sea environment and the implementation of the provisions of the Convention and the Strategic Action Plan for the Environmental Protection and Rehabilitation of the Black Sea (2009). In this respect the progress achieved in cooperation with regional projects such as the EMBLAS Project (Environmental Monitoring of the Black Sea) was noted as well as the implementation of provisions under the Memoranda of Understanding and work with partner organizations. The Black Sea community celebrated the Black Sea Day 2015! 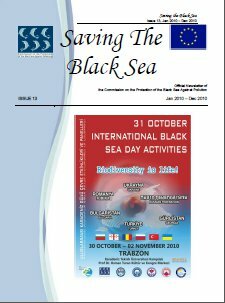 It continues to be a good tradition every year, since the first Strategic Action Plan for the Rehabilitation and Protection of the Black Sea was signed by all riparian countries of the Black Sea on the 31st of October back in 1996 in Istanbul. Since then this important event is commemorated every year in different coastal cities around the Black Sea. A good tradition to present the Black Sea Medal Awards for the outstanding individual efforts to protect the marine environment of the Black Sea was established and it is being presented every year to one individual from each riparian country around the Black Sea. The celebrations of the Black Sea Day attract the attention of scientists, politicians, decision-makers and just a wider public to the day-by-day activities related to the protection of the Black Sea. This year we hold these celebrations under support of our partners – projects aimed at supporting the Black Sea regional cooperation - PERSEUS Project: Policy-oriented marine Environmental Research for the Southern European Seas; They presented their achievements to the attention of the Black Sea Commission and our guests from various organizations from the Black Sea coast and beyond. The celebrations were held on the 30th October, 2015 in Istanbul at Point Hotel Taksim. In accordance with the articles of the Convention on the Protection of the Black Sea Against pollution and its Protocols the Contracting Parties have agreed to cooperate in protecting the marine environment of the Black Sea from potential damages arising from from emergency situations as well as combating pollution of the sea by oil and other harmful substances. The activities undertaken are described in detail here. The Joint GFCM-BSC Workshop on IUU fishing was a first activity in the framework of the Memorandum of Understanding (MoU) between the Black Sea Commission and the GFCM signed on 14th May, 2012 in Marrakech, Morocco, during the 36th Session of the General Fisheries Commission for the Mediterranean (GFCM). The extent and the nature of Illegal, Unreported and Unregulated (IUU) fishing were carefully assessed by the workshop participants. A number of presentations were delivered which allowed participants to express their views and feed relevant information to the workshop. The consequences associated to IUU fishing were also examined together with measures available at international and regional level against it. The National representatives presented the relevant IUU information, including data, legislation and current practices, based on the questionnaire circulated ahead of the workshop; the BSC PS representative made an overview of the regional fishing fleet. The main outcome of the workshop was development of a roadmap identifying actions, objectives, means and actors of relevance for the Black Sea in order to fight IUU fishing. 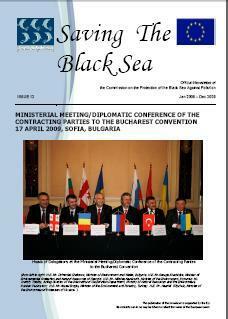 The 26th Meeting of the Council of Ministers of Foreign Affairs of the Organization of the Black Sea Economic Cooperation (BSEC) was held in Belgrade on 11 June 2012. During the meeting, H.E. Ambassador Victor Tvircun from Moldova was elected as the new Secretary General of the BSEC Permanent International Secretariat. H.E. 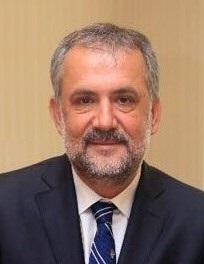 Ambassador Tvircun, who previously served as Minister of Education and Youth as well as Ambassador of Moldova in Ankara, assumed his duties as of 1 July 2012. On the 19th of July, 2012 Prof. Halil Ibrahim Sur, the Executive Director of the Black Sea Commission’s Permanent Secretariat, paid a visit to the premises of the Headquarters of BSEC PERMIS in order to have an introductory meeting with H.E. Ambassador Victor Tvircun, the newly elected BSEC Executive Secretary. The Parties discussed the opportunities for future cooperation between the two organizations. Meeting of the Contracting Parties to the Convention on the Protection of the Black Sea Against Pollution, 16 - 17 April 2009, Sofia, Bulgaria.